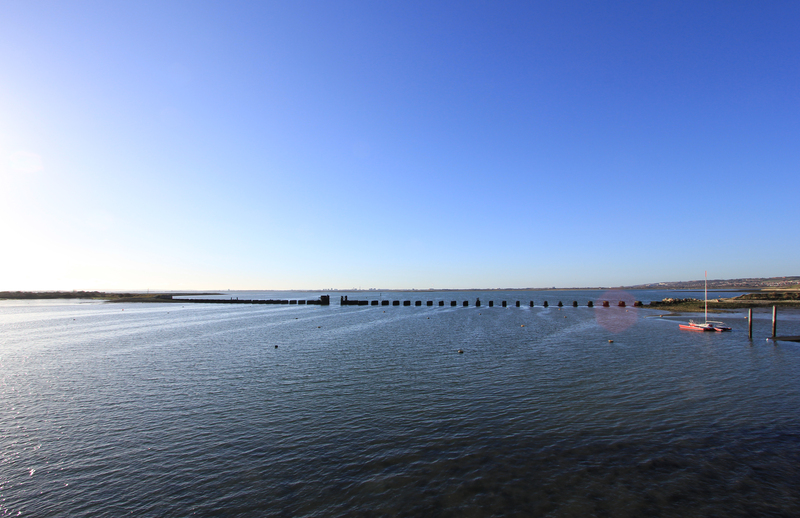 In 1824 a new 960 foot long bridge from Langstone to Hayling Island was opened. It was the first permanently dry connection to the island from the mainland and it had a 40 foot long swing bridge in the middle so that water vessels would still pass by. The bridge was robust, but only to a degree. Buses crossing over to the island had to relieve themselves of passengers before using the bridge. The bus would cross the bridge unladened; the passengers walked across and then got back on board to continue their journey! Today the original bridge runs alongside its more modern counterpart and is in ruins. Unfortunately, there are no shoreline footpaths along much of the eastern side of Hayling Island. We therefore had little option but to endure two miles of road-walking. This is not something the coastal walker really relishes, but we accept that every now and again we have to endure such stretches. 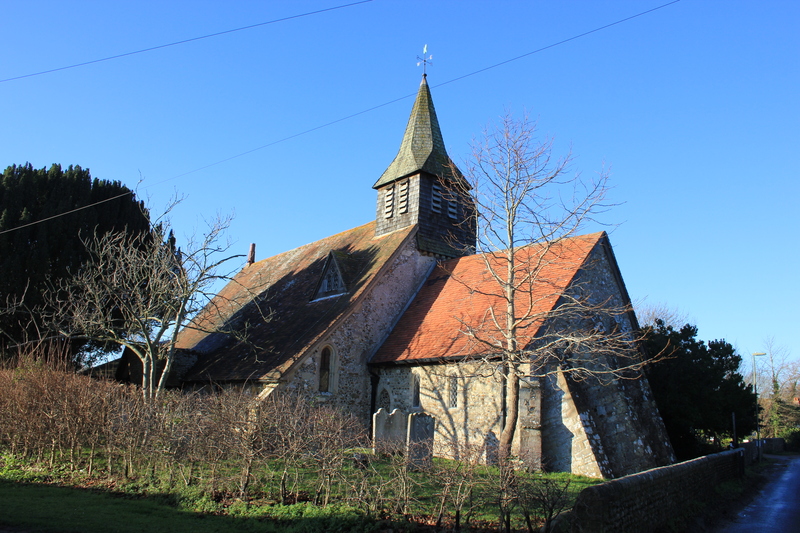 We did at least get to see St Peter’s Church in North Hayling, the oldest building on the island which casts what is believed to be one of the oldest peels in England – the tenor bell here dates back to 1350. St Peter’s Road itself was actually quite pleasant in parts, offering a tree-lined avenue in which the sunlight lay dappled at our feet as we walked. 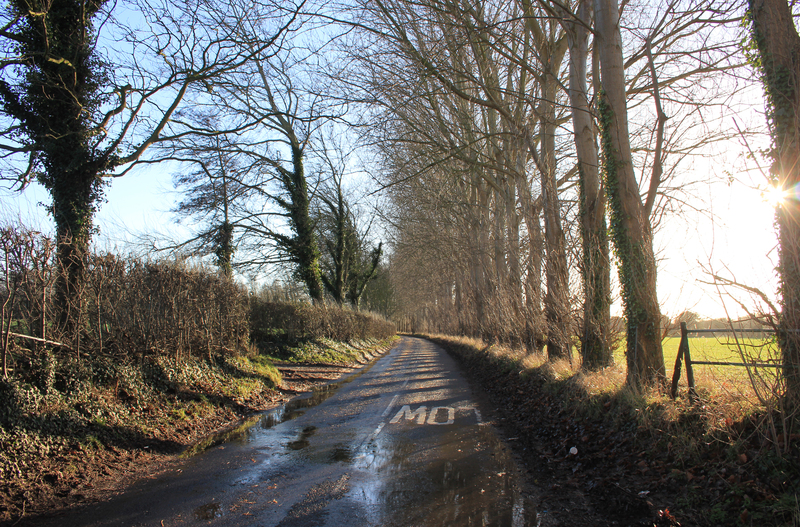 It was a bit of a plod, but not too dreary. Before long we were back at our car and today’s walk had ended. This entry was posted in Hampshire, Islands and tagged church, coast, Hampshire, Hayling Island, travel, walking. Bookmark the permalink. Please shoot me a e-mail so we can get in touch. What do you mean by “oldest peel in England”? Steeple maybe? Post edited slightly after some more quick research: “oldest peel” has been changed to “one of the oldest peels”!!! !